It’s estimated that around 20% of all home sales in the US are purchases that happen directly between the owner and the buyer without using a real estate agent. Buying a home directly from the owner is the same as buying a home with an agent, however, you will have to be willing to navigate several additional logistical steps of the purchase if you choose to do so without an agent. You may not set out intending to buy a home directly from the owner. Let’s say you are driving by a home that grabs your attention. You often see those “for sale by owner” signs in the yard and you say, “That’s a beautiful house!” or “I would love to see that property!”, so you contact the owners to express interest in seeing the property. The entire process may very well take on a course of action of its own from there. Why Would Someone Need Owner Financing? Owner financing works when the seller extends enough credit to the buyer so that the buyer can cover the purchase cost of the home, minus any down payments that the buyer is making. A promissory note is then signed by both the buyer and the seller stating the terms of credit. 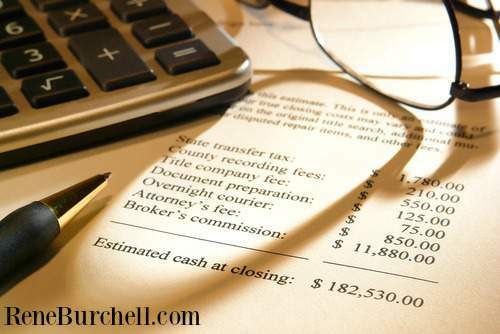 Thereafter, both the buyer and seller will sign a “deed trust” depending on the state that the home sale is occurring in. The buyer will then be required to pay the entire loan back within the time period specified in the deed trust that they signed. Another situation that often occurs is that the buyer will take what is called a “junior loan” so they are able to take out a first mortgage to pay for the home. The buyer then receives the deed and they are able to take out a second mortgage which will cover the difference between the first mortgage and the amount that they are paying down on the property. Owners will generally be the ones to carry all financing on the loans as it will often take extended periods of time (20 years or more) before they are repaid in full for the value of the property they sold. Lease Purchase Agreement: The buyer is given a lease purchase which means that the buyer is given equitable title via the lease and they are expected to pay back the entire loan amount. Upon completion of all of the owed payments the buyer is given the title and they can now source for a loan to pay off the seller. Land Contracts: The buyer is issued the equitable title and is expected to make regular payments to the seller for a previously specified period of time. Once all of the payments have been made the seller must transfer the deed to the buyer. Mortgage & Promissory: Sellers have the option to choose to carry a mortgage for the balance of the purchase price of the property. Sometimes this will include an underlying mortgage price minus the buyer’s down payment. This is also known as an “all-inclusive mortgage” where the seller is granted an override on the interest of the loan they have taken. Owner financing occurs when a property buyer finances a purchase directly through the person who is selling the property. This is often an alternative to using a mortgage company when the buyer is not able to secure enough money through a conventional mortgage lender. 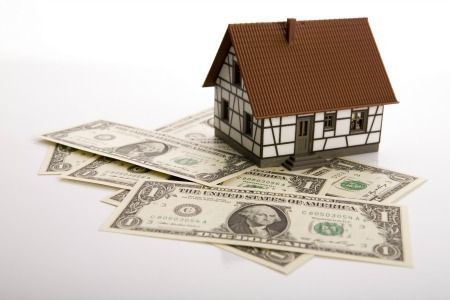 Owner financing is actually quite common in the buyer’s market. Sometimes owners selling their home will require a down payment higher than the traditional 20% of an average down payment. 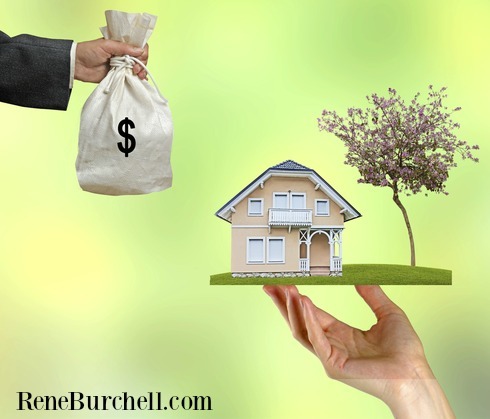 Owner financing is also another alternative for a buyer who is not willing to pay current market interest rates on the mortgage they would need to take out to purchase the property. Mortgage Accessibility: Financing is much easier to obtain through owner financing, especially when the buyer may have poor credit that would otherwise prevent them from having access to a mortgage at that same interest rate that others may be able to get the loan at. This is even more common today as many property owners looking to a sale by owner are warming up to the idea that the buyer may have difficulties obtaining traditional mortgages, yet may very well be responsible enough to pay back a loan which they can afford without it causing any hardship. An Alternative Option: Owner financing makes buying a home much easier as going through conventional means of buying a mortgage via a bank or mortgage company can be tiring, cumbersome, and downright exhausting. Many people prefer going this route over jumping through all the necessary hoops to try to get a home finance loan through a traditional means such as a bank or mortgage company. There are times when this alternative option is much easier, and a few people (about 10% that were polled) believe that this is a better way to go about getting a mortgage than going through a traditional bank or mortgage company. When using the owner financing option to buy a house the closing process is usually much quicker than when trying to get a conventional mortgage. There is no waiting for banks to approve loans or for legal departments to approve transaction when the owner financing option is used. 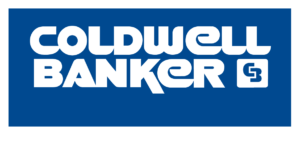 For those looking to close on a home as soon as possible owner financing is a valid option that can save the buyer a lot of time over dealing with traditional mortgage companies and their time tables. Using owner financing can often make the closing costs much less than taking out a traditional mortgage to buy the property. In many cases, the seller will agree to owner financing if they are having difficulty selling their property through the traditional market. In many cases, the owner financing only makes up a portion of the total purchase price with a smaller bank picking up the rest of the difference. For the seller, owner financing can make sense because it often times provides a steadier cash flow as a source of additional income and many times it provides a better return on their investment than any sort of commercial mortgage or bank would provide. Owner financing also leaves a lot of options for how the payment will work. Many owner financing options combine various payment plans together to make some sort of hybrid plan that works for the buyer and seller. Some of these possible combinations of financing options include things like fixed-rate amortizations, interest only payments, ballooning payment, or less-than interest payments. Finding a payment plan that works for the individual seller and buyer is sometimes the key to making a property transaction that might be much harder to make through a traditional real estate agent or through a bank or mortgage company. The seller and buyer come to their own terms of what is “agreeable” to them and make a deal based on their own terms rather than those of large, for-profit financial institutions, which may not be agreeable or ideal for the parties involved in the buying and selling process. When the buyer and seller are working together they can negotiate and determine what a reasonable down payment is as long as it satisfies both involved parties. For example, if one person wants a 20% down payment and the other person can only afford 10% they may choose to agree on 15% or the seller may take the 10% and require extra periodic payments until desired percentage of down payment is achieved. This way, it’s not a matter of how much money a financial institution requires you to put down on a property, but whatever number the buyer and seller agree on together. That makes the payment plans and “rules” of determining who owes who what more flexible. You don’t have to work in finance or hold any special license or degree to do a “for sale by owner” selling or purchasing of a property. This means that “for sale by owner” sales are accessible to virtually everyone who owns property that they wish to sell. There are no costs for loans such as interests or banking fees if the owner sells their own property or if you purchase the property directly from the owner. You will save on the fees involved with origination fees, points, underwriting charges, credit reports, appraisals, title insurances, etc. as the buyer will not charge these fees. Avoiding these fees will make the potential of buying a home more reasonable for people on a fixed income as well as more appealing than renting or leasing property as that money can be better spent on making a down payment on the property and buying the actual property rather than paying for “extras” that financial or real estate companies offer through their services. For sale by owner transactions allow the owner to retain the title to the property till the property is paid for by the buyer in its entirety. This allows them to more easily repossess the property or take control of the situation if the buyer is not making payments on time. Higher Interest Rates: Oftentimes a “for sale by owner” purchase will carry a higher interest rate than a traditional loan from a bank will. Over the course of a 15 or 30-year fixed-rate mortgage can cost you quite a bit of extra money in paying these higher interest rates. “Due On Sale” Clause: Oftentimes the bank will have what they call a “due on sale” clause which means that the entire balance of the loan is due when the property is sold to you. This can make buying a property much more difficult for the person purchasing the property. Repair Cost: If the home were to be repossessed by the seller for any reason they will have to front the money to fix any maintenance, damage, or repair costs for damage that the property sustained while the buyer was living at the property. If the person living there was reckless or messy, that cost and risk could be quite substantial to the homeowner who initially sold the property in the first place. There are many ways that homes can be financed whether through traditional means with a bank or mortgage lender or through a direct sale, however, owner financing is a convenient way for many people to finance a purchase that doesn’t get a lot of coverage. It’s also a great way to move a closing along more rapidly as all of the financial and logistical loopholes are closed and the process is simply between the buyer and the seller.